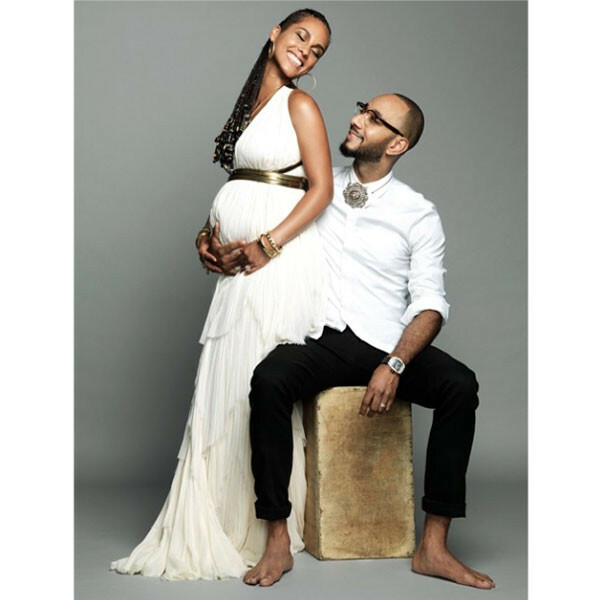 Alicia and Swizz expecting baby no.2! Award-winning singer/songwriter, Alicia Keys made a big (and shocking!) announcement on her instagram revealed that she’s expecting her second child with hubby Swizz Beatz. Awww. I couldn’t be more happier for the power couple. But mind you, they did incredibly well keeping the pregnancy a secret. Back in November, the press asked if they would ever be having another child anytime soon. As their son, Egypt might want a little brother or sister. Alicia’s response: “Not right now. But never say never!”. click here to view some of the pictures of the couple on instagram!